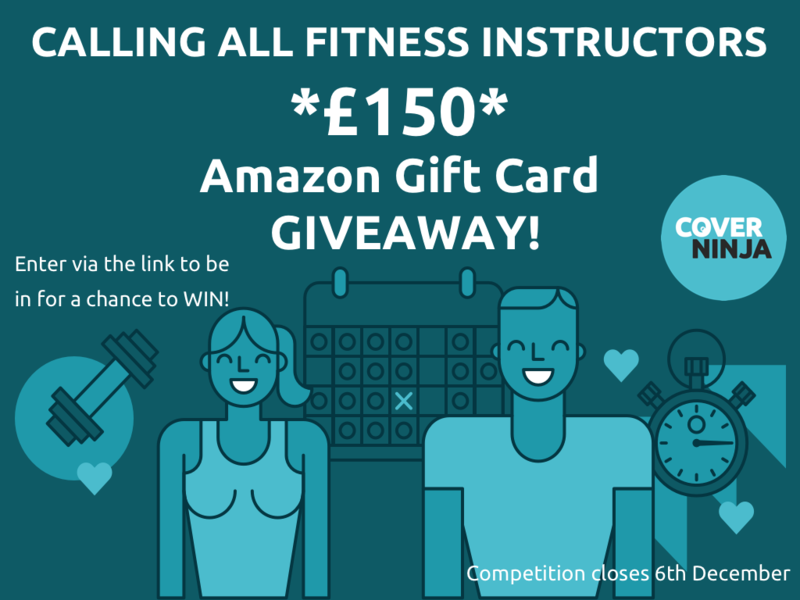 We know the festive period is always a nightmare for class cover and to celebrate the last year of festive cover hell before Cover Ninja launches, we are giving away a £150 Amazon Gift Card to one lucky instructor just in time for Christmas! We are asking instructors to let us know what their worst part about group exercise class cover is in order to enter the competition and be the running to win! Competition closes December 6th and we’ll announce the winner on 7nd December. Please share with all your fitness’y friends! We are busy testing the Cover Ninja app as we speak so that it is tip-top for the Official launch! Sign up here for the latest updates and to be an early adopter of the app!